non-Hulu Plus subscribers' starting this summer. Hulu made no mention of which shows, specifically, we will wind up seeing for free on its mobile app. Hulu might choose to focus on stale last-season TV fare or, quite possibly, its growing slate of original programming. 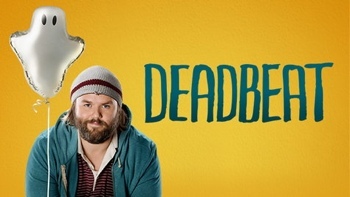 Hulu's new oddball comedy Deadbeat has been picked up for a second season, and new episodes of other Hulu originals will be premiering during the slower summer TV months. Currently, only Hulu Plus subscribers can access ad-supported streaming video on mobile devices such as smartphone and tablets. The selection of shows available for streaming has always been more limited than what’s available through the website, even for subscribers. The “next generation” of the Hulu Plus app will be arriving this summer as well, though there’s no word what that might mean for content. Hulu’s announcement is part of a new trend towards free, ad-supported video content on our mobile devices. Recently, Comedy Central made full episodes of The Daily Show, The Colbert Report, and @Midnight viewable through its dedicated iOS mobile app, even without a cable subscription. ABC, TBS and TNN have also launched mobile live streams, but an active pay-TV subscription is required to watch. To learn more about Hulu’s plans for the future, check out the company’s latest blog entry, Today at the Hulu Upfront.